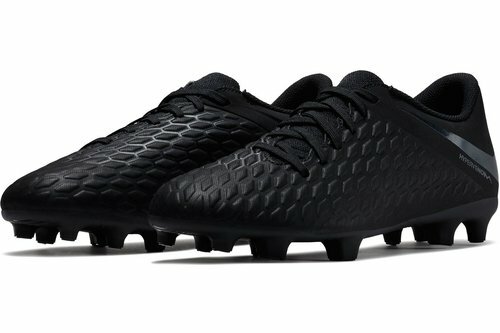 Dominate the game with deadly finishing and rapid movement when you lace up in a pair of Hypervenom Phantom Club Mens FG Football Boots in Black. 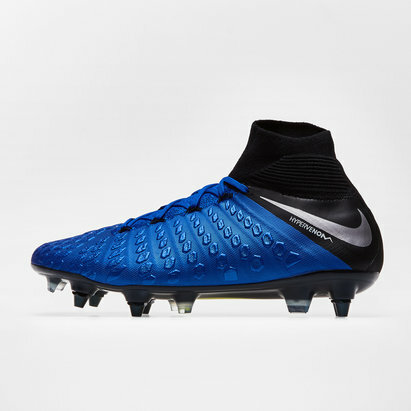 This boot comes as part of the very latest Nike, Stealth Ops pack which is a collection of eye-catching boots which have been designed to get the very best out of the players that wear them, as impressive as the boots are, it's really going to be your performances that will be the difference. Spark fear in the hearts of defenders and create your own myth. 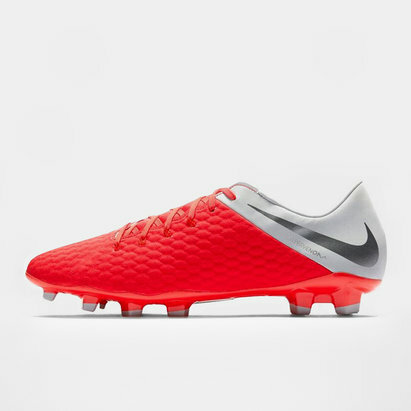 When on the attack this boot will give you the pace to destroy the defence, lightweight in design the Hybrid plate will give you a return on every stride. 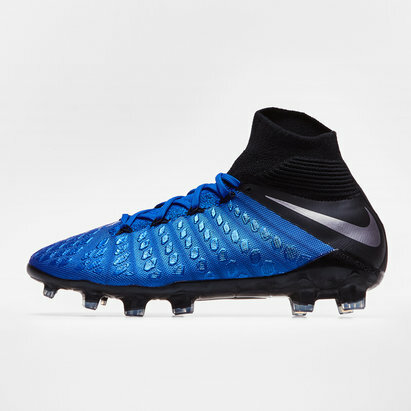 The Flyknit construction is thin yet durable but your foot will stay slightly protected with the Foam Pod design. 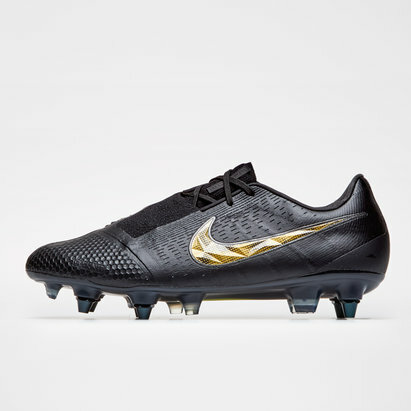 Flywire cables will lock in the foot with every explosive movement, no matter if you're carrying the ball, tackling or if you're an adventurous forward, scrummaging. 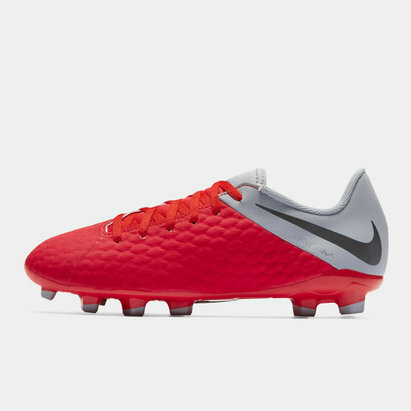 Take on the opposition in the Nike Hypervenom Phantom Club Mens FG Football Boots with moulded studs designed for superior traction on firm ground pitches.